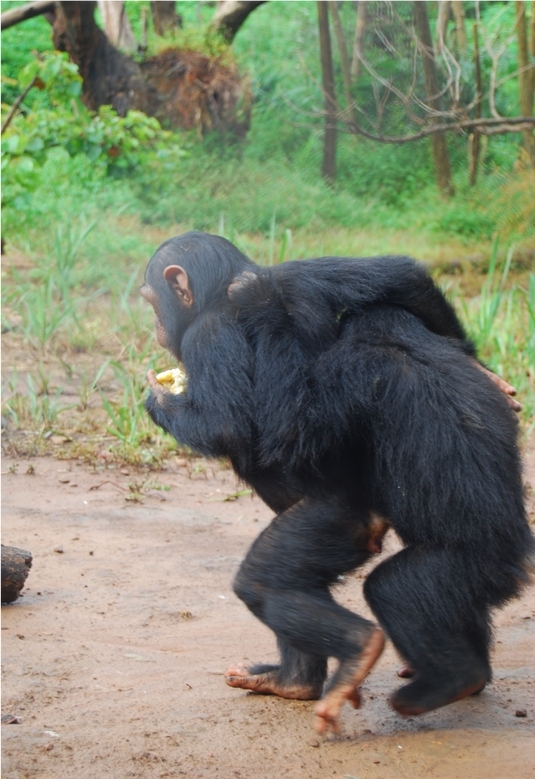 I went to visit a chimpanzee sanctuary in Lubumbashi on Wednesday morning with Rob and Alan. 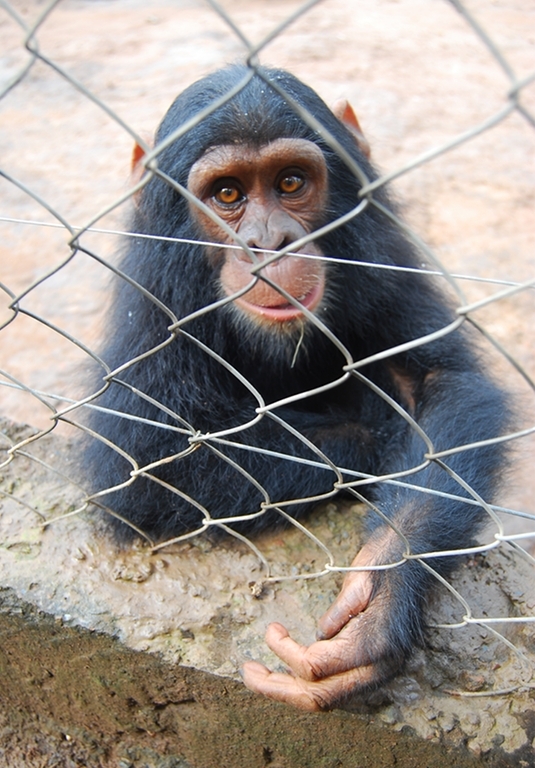 The name of the sanctuary is JACK (Jeunes Animaux Confiscés au Katanga – Young Animals Confiscated in the Katanga Province); the owners’ children originally gave the name ‘Jack’ to the first chimpanzee that entered the centre. He unfortunately died a few weeks after being taken in, due to his shocking abuse prior to confiscation. JACK was set up in 2006 and is run by a lovely couple called Franck and Roxanne. Franck is French and has been here for about 20 years; Roxanne on the other hand is Belgian and was born and raised in Lubumbashi. 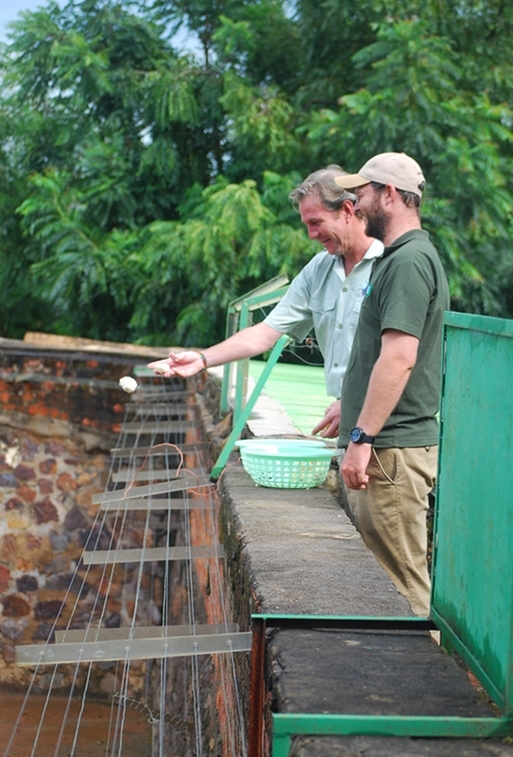 Neither of them are qualified vets; both of them are, however, incredibly passionate and dedicated to the conservation and rehabilitation of these amazing animals. And they’re not paid for their troubles either. They have separate jobs on the side to help them pay the bills, pay their 6/7 Congolese staff members and to look after their two children. It’s amazing that they find the time to do anything really. So how does it work? 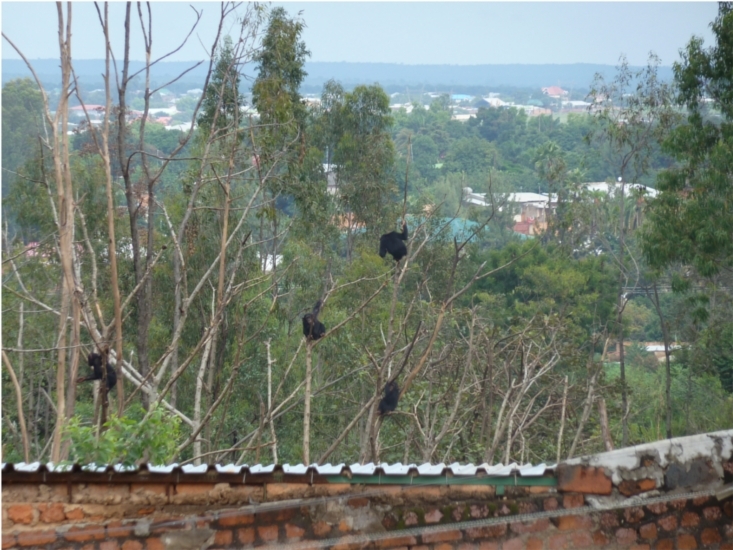 The Ministry of the Environment in Katanga confiscates chimpanzees within the province, and as the name of the organisation suggests, they tend to come in at a young age. Many are either personal pets or soon to be sold in street markets for food. One thing they all have in common is some form of abuse – one came in as an alcoholic for instance, another was fully trained to be a human child substitute, so he ate, slept, went to the toilet etc like a human. It’s shocking stuff. It’s amazing to think that this sort of thing still happens in the 21st Century. It’s lucky that people like Franck and Roxanne exist, quite honestly. 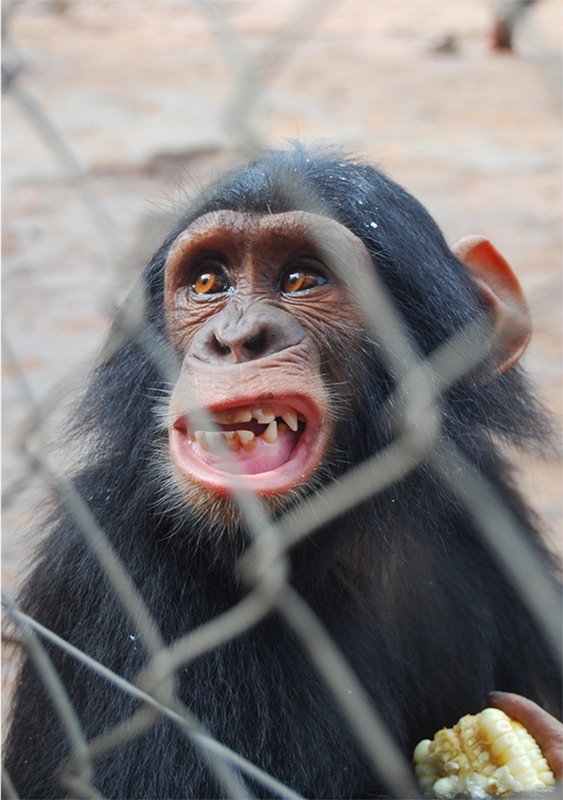 Chimpanzees are said to be our closest living relatives, having split from the human evolutionary branch millions of years ago. And whether or not you believe in evolution, the resemblance they hold to humans is in many ways uncanny. From their mannerisms, their unique (and separate) personalities, their natural emotional tendencies, the way they look out for each other, the sheer wisdom they seem to hold in their faces – it’s really quite breathtaking. Especially when you experience them up close and personal, and have the opportunity to touch them and create some basic level of trust with them. It’s not hard to understand the attraction in wanting to keep these guys safe. 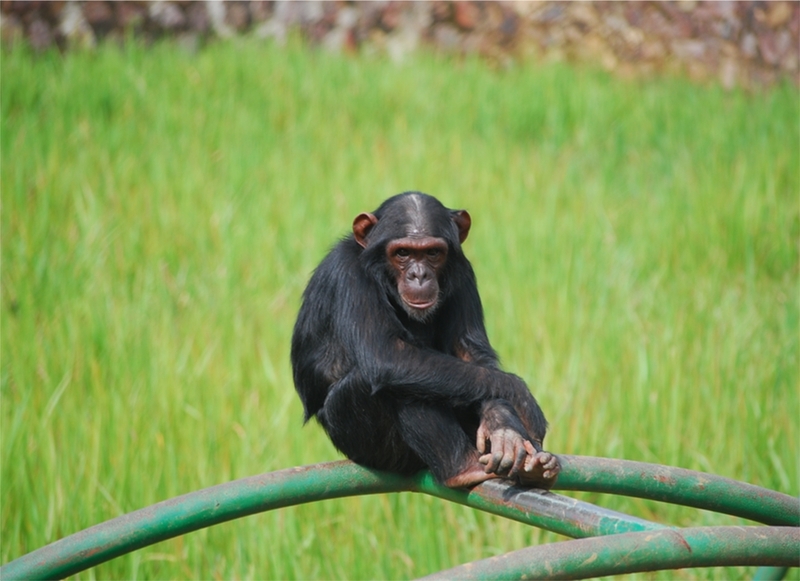 According to the JACK website (http://www.jackdrc.org/) there were approximately one million chimpanzees in Africa in 1960, and yet today there are between only 172,000 to 300,000 of them. Which is a pretty shocking and revelatory statistic. Unfortunately, of course, chimpanzees aren’t the only animals in the world, or Africa, to have suffered such huge losses over the years, with elephants, rhinos and tigers, amongst many many others, also victim to ever decreasing numbers. This is something I will be discussing at length in my work blogs at a later date. 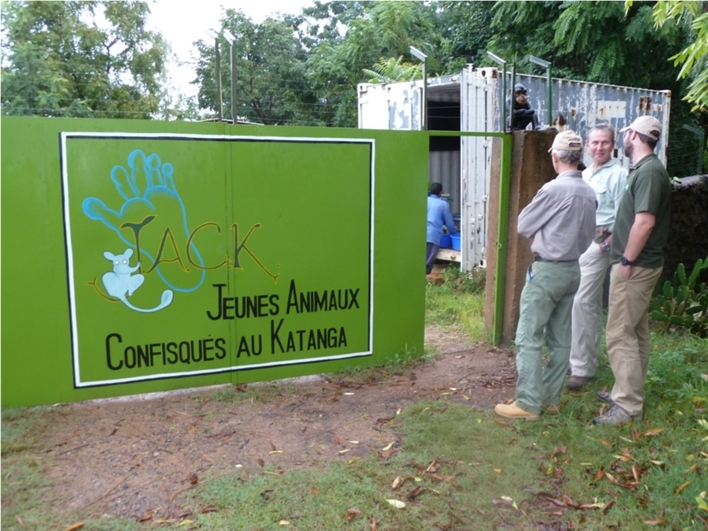 Funnily enough though, JACK reminds me a lot of the Amani Children’s Home in Tanzania. 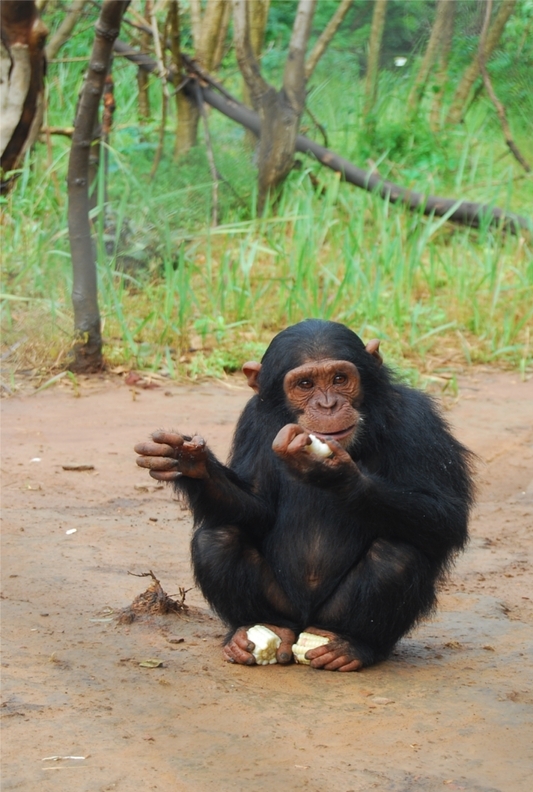 Though one charity deals with (human) street children and the other with chimpanzee children, the principles and philosophies of each are beautifully entwined: save, care for, love, give food, offer shelter, comfort and security, educate, reintroduce to wild/world. And the problems are the same too – the abuse, the lack of respect, the fear. 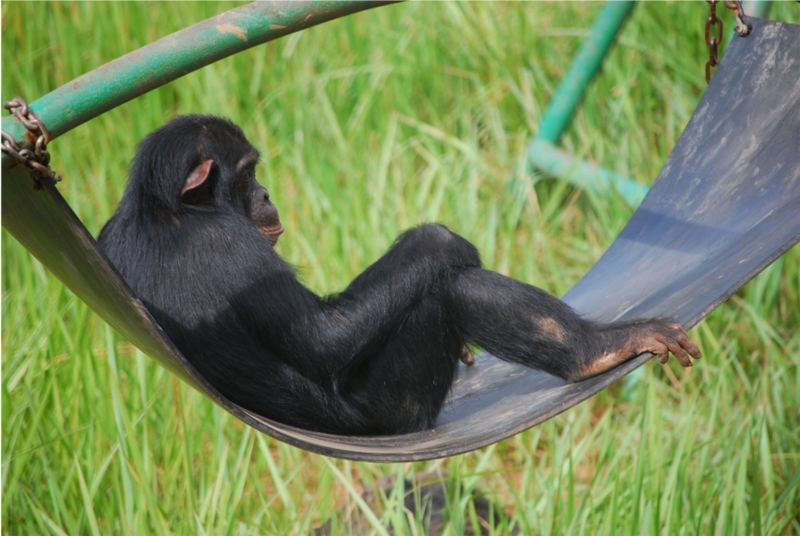 There’s even a chimpanzee, Eliya, who they believe to be autistic – there are only two cases in the entire world! 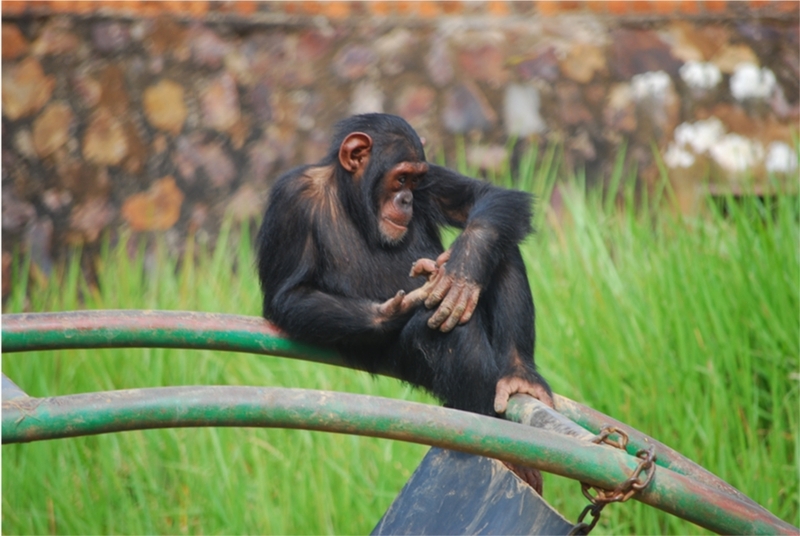 A young researcher has written a paper and is in the process of backing up his theory that autism can in fact exist in chimpanzees. It would be an extraordinary scientific find. And so you’re left to marvel at these fine animals, these (potentially) very distant relatives of ours. 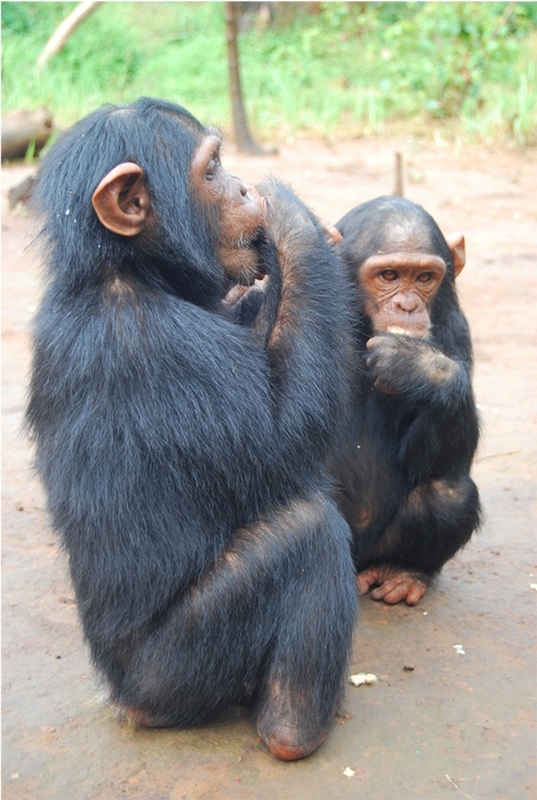 But also at this special couple, Franck and Roxanne, for the way that they care for – and respect – these animals as though they were humans. 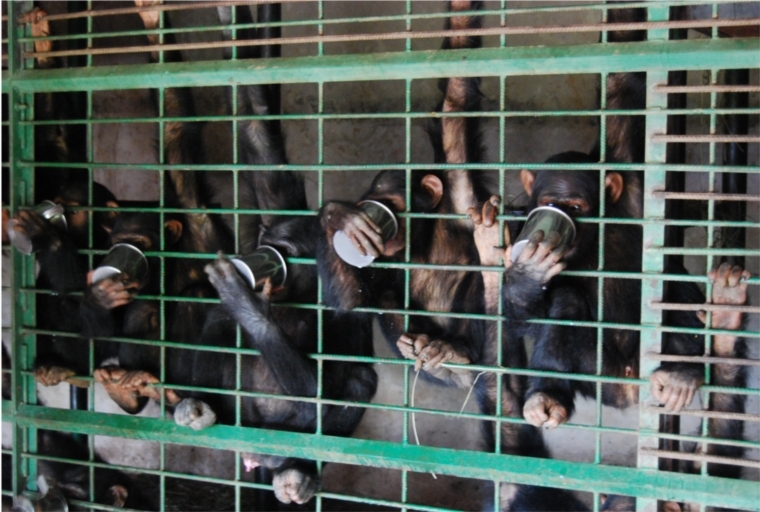 And also for the way that they do their work, constantly battling against limits in funding, increases in the abuse and killing of chimpanzees, the day-to-day worries of how they can keep going. And all that for what exactly? For fame and fortune? No. All that because they care. And because they want to, and can (to an extent) do something about it. 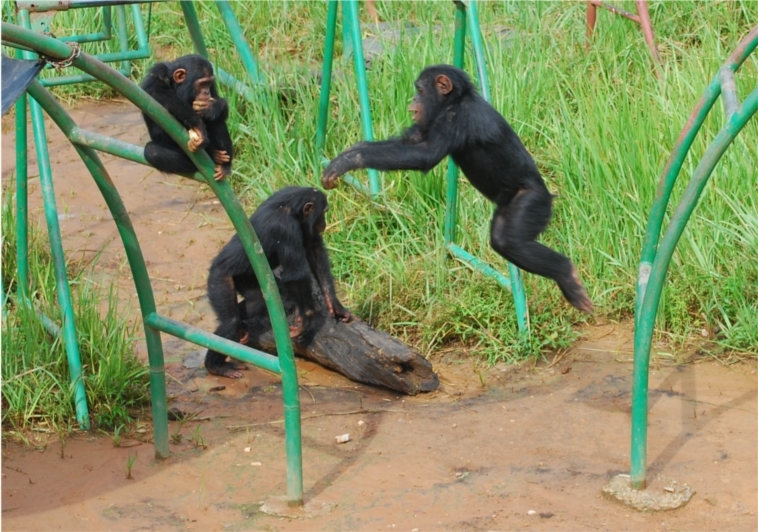 And while many people might not find the saving of chimpanzees – or the environment for that matter – the most important rehabilitative work to be done in the Congo, a country that has seen so much brutal and unnecessary destruction, it is at least incredibly promising to see that there remain devoted individuals, both Western and Congolese, who want to protect and repair this country. There is great work being done out here at so many levels, against all odds. And that is truly inspiring stuff. "Open wide..." "What, like this?"